Did you adopt an animal from SICSA? Or are you just a new pet parent? We’re here to help! SICSA is committed to supporting our adopters post-adoption and to preventing pets from ending up in shelters. Our goal is to nurture loving, lifelong relationships between animals and people. If you're a new pet parent or are looking for answers to pet-related questions, the general pet care section provides a variety of information and resources to help pet parents provide the best possible care for their new family members. Fleas and ticks are two of the most frequent pet care concerns in America. While prevention is the best defense against these parasites, it’s important to be able to recognize the signs and symptoms of fleas and ticks so you can help your pets if necessary. Click here for more information. Also, keep in mind SICSA sells Combiva II for both cats and dogs. It is $15 for 3 doses and can be purchased anytime during our open hours, Monday-Saturday noon-7pm and Sunday noon-4pm. Although many people have discovered the beneficial effects of caring for a furry friend, the fact remains that roughly 15 to 20% of the population is allergic to animals. The result? Countless pet parents in unhappy, unhealthy situations—and their beloved pets are the cause! The most common pet allergens are proteins found in their dander (scales of old skin that are constantly shed by an animal), saliva, urine and sebaceous cells. Any animal can trigger an allergic response, but cats are the most common culprits. Certain pets can be less irritating than others to those who suffer from allergies, but that is strictly on an individual basis and cannot be predicted. Once the diagnosis of a pet allergy is made, a physician will often recommend eliminating the companion animal from the surroundings. Heartbreaking? Yes. Absolutely necessary? Not always. Read more! Moving to a new home may be one of the most stressful life events you’ll ever have to tackle. But in the chaos of cardboard boxes, packing tape and moving trucks, you might not realize how stressed your pets feel, too. Click here for ways to make the transition as safe and easy as possible for your furry friends. For some pet parents, a trip is no fun if the four-legged members of the family can’t come along. But traveling can be highly stressful, both for you and your pets. If you’re planning to take a trip with pets in tow, we have some tips to help ensure a safe and comfortable journey for everyone. Read more. Vaccines help prevent many illnesses that affect pets. Vaccinating your pet has long been considered one of the easiest ways to help him live a long, healthy life. Not only are there different vaccines for different diseases, there are different types and combinations of vaccines. Vaccination is a procedure that has risks and benefits that must be weighed for every pet relative to his lifestyle and health. Your veterinarian can determine a vaccination regime that will provide the safest and best protection for your individual animal. Click here for more information. By spaying or neutering your pet, you’ll help control the pet homelessness crisis, which results in millions of healthy dogs and cats being euthanized in the United States each year simply because there aren’t enough homes to go around. There are also medical and behavioral benefits to spaying (female pets) and neutering (male pets) your animals. Click here for more information. If you adopted an animal from SICSA within the past seven (7) days and have health concerns about your pet, please contact the Veterinary Clinic Manager at 937-294-6505, ext. 14. During this limited time period, we provide free, post-adoption medical care (by appointment only) for shelter-associated conditions; including parasites, respiratory infections, and incision complications. Our post-adoption medical care policy does not apply to pets NOT adopted from SICSA and does not include routine preventive care, treatment for accidents or injuries incurred post-adoption, treatment of other pets in the household, or treatment that is outside the capabilities of our basic vet clinic. Your newly adopted pet has likely been through a lot of stressful changes recently, and it can take some time to adjust to the routines of even the most loving home. Sometimes, just allowing your new pet time to adjust does the trick. Other times, they need some training to help them along – and adopters need a little support, too! Whether you adopted a dog or cat and are looking for behavioral support or additional information related to the health of your pet, VeterinaryPartner.com is a great resource.  This online collection of pet health information and behavior resources was created for the public by the Veterinary Information Network, which is committed to empowering the veterinary profession through the sharing of knowledge and ideas. VeterinaryPartner.com provides useful information and resources for anything from your dog's fear of fireworks, to scratching problems for cats, to halitosis (bad breath) and periodontal disease. Please find a list of common behavior issues and other resources below. If you are having behavior problems outside of these topics or need additional support, please refer to your adoption contract for the contact information for our SICSA behavior support specialists. Barking is one of many forms of vocal communication for dogs. People are often pleased that their dog barks, because it alerts them to the approach of people to their home or it tells them there’s something that the dog wants or needs. However, sometimes a dog’s barking can be excessive. Because barking serves a variety of functions, you must identify its cause and your dog’s motivation for barking before you can treat a barking problem. Read more. It’s normal for puppies and dogs to chew on objects as they explore the world. Chewing accomplishes a number of things for a dog. For young dogs, it’s a way to relieve pain that might be caused by incoming teeth. For older dogs, it’s nature’s way of keeping jaws strong and teeth clean. Chewing also combats boredom and can relieve mild anxiety or frustration. Read more. Crate training takes advantage of your dog's natural instincts as a den animal. A wild dog's den is their home—a place to sleep, hide from danger and raise a family. The crate becomes your dog's den, where they can find comfort and solitude while you know they’re safe and secure (and not shredding your house while you're out running errands). Read more. Most pet parents don’t enjoy dogs who bite, chew and mouth their hands, limbs or clothing during play and interaction. The jaws of an adult dog can cause significantly more pain than puppy teeth, and adult dogs can inadvertently cause injury while mouthing. Mouthing is often more difficult to suppress in adult dogs because adults aren’t as sensitive to our reactions as puppies are, and they’re usually more difficult to control physically because of their size. Adult dogs who mouth people probably never learned not to do so during puppyhood. It’s likely that their human parents didn’t teach them how to be gentle or to chew toys instead. Read more. Puppies spend a great deal of time playing, chewing and investigating objects. All of these normal activities involve puppies using their mouths and their needle-sharp teeth. When puppies play with people, they often bite, chew and mouth on people’s hands, limbs and clothing. This kind of behavior may seem cute when your puppy is seven weeks old, but it’s not nearly so endearing when he’s three or four months old—and getting bigger by the day! Read more. One of the most common complaints of pet parents is that their dogs are disruptive or destructive when left alone. Their dogs might urinate, defecate, bark, howl, chew, dig or try to escape. Although these problems often indicate that a dog needs to be taught polite house manners, they can also be symptoms of distress. When a dog’s problems are accompanied by other distress behaviors, such as drooling and showing anxiety when his pet parents prepare to leave the house, they aren’t evidence that the dog isn’t house trained or doesn’t know which toys are his to chew. Instead, they are indications that the dog has separation anxiety. Read more. If you know that both dogs are very social with a variety of other dogs, the meeting should be easy. However, some dogs don’t get out and mix with other dogs that much, or may have only had one or two dog friends in their lives. These dogs may seem to have better social skills than they actually do, so introducing them to new dogs may require more care and effort. Read more. Some dogs do fine living with cats; others simply cannot live safely with felines. Sometimes, a dog can live with certain cats (depending on their age, temperament and activity level), but not others. Even if your dog has successfully lived with cats in the past, it is important to remember that each dog and each cat is an individual and therefore each introduction is different. Read more. Children can have the most amazing relationships with dogs if both are taught how to properly interact and respect each other. Proper training and management of both children and dogs can prevent tragedies from ever happening. Read more. When you bring a new baby home, your dog will face an overwhelming number of novel sights, sounds and smells. She may find some of them upsetting, especially if she didn’t have opportunities to spend time with children as a puppy. You’ll drastically alter your daily routine, so your dog’s schedule will change, too. And, out of necessity, she’ll get less of your time and attention. It may be a difficult time for her, especially if she’s been the “only child” for a while. To read more, click here. Just like people, dogs communicate using “body language.” Your dog is communicating with his entire body, not just his tail or his voice. If you want to know how he is feeling, you’ll need to learn to read your particular dog’s body language. To get a sense of what your dog is trying to tell you, spend as much time as you can observing your dog and his body posture. Read more. At least 10% of all cats develop elimination problems. Some stop using the box altogether. Some only use their boxes for urination or defecation but not for both. Still others eliminate both in and out of their boxes. Elimination problems can develop as a result of conflict between multiple cats in a home, as a result of a dislike for the litter-box type or the litter itself, as a result of a past medical condition, or as a result of the cat deciding she doesn’t like the location or placement of the litter box. Read more. The most common behavior problem reported by pet parents of cats is inappropriate elimination. It’s estimated that 10% of all cats will eliminate outside their litter box at some point in their lives. Quite a few of these cats have issues with some characteristic of their litter box (please see our article on Litter Box Problems for more information), but approximately 30% don’t have litter box problems at all. These cats are urine marking, and urine marking isn’t a litter box problem—it’s a communication problem. Urine marking is a form of indirect communication used by cats. Read more. Some cats just won’t give peace a chance. There are several reasons that cats might not get along. The most common is under-socialization—a lack of pleasant experiences with other cats early in life. Read more. Even if the cat you are adopting is good with other cats, there is always the possibility of problems when introducing strangers to each other. There are several steps that you can take to reduce the likelihood of problems. Read more. Chasing is a natural instinct for a dog, but it is not appropriate behavior in your home when directed toward your cat. Read more. Play is a very important and fun part of a kitten’s life. Teaching your kitten proper play skills and playing with him every day will give him appropriate outlets for his energy. Read more. The majority of cats are by nature relaxed and peaceful creatures. They don't want to bite or scratch and will usually go to great lengths to avoid a situation where this is necessary. However, there are times when a pet cat does strike out and injure its owner. Read more. Give your kitty the outside time she needs by training her to walk on a lead! Read more. Although we know that cats and babies can co-exist harmoniously in the same family, there are still precautions that new or expecting parents can take to help safeguard both baby and feline. To read more, click here.